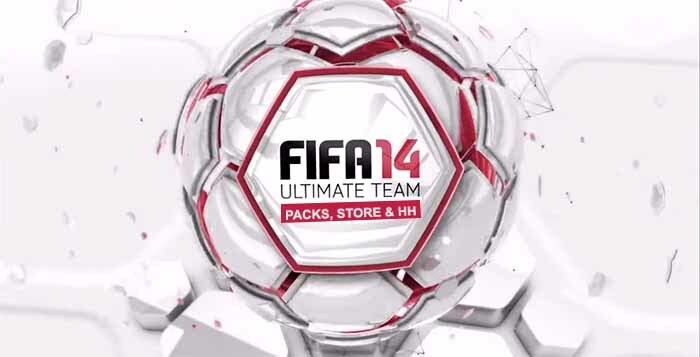 FIFA Happy Hour is a period of time with promotional packs offers available on the FUT store. It may be just a hour but it may also be a full day or even a weekend. 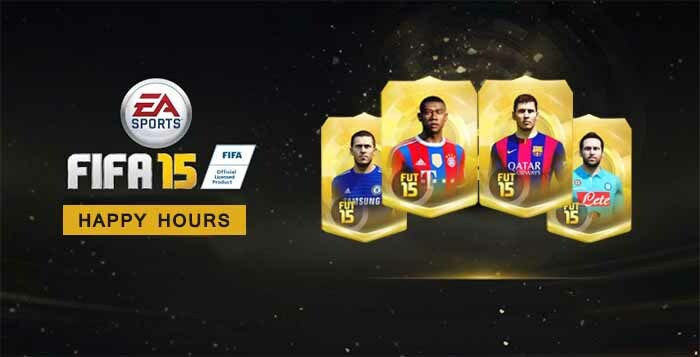 Promotional FIFA Happy Hour Packs can be purchased with FUT Coins or FIFA Points via the FIFA Ultimate Team Store and are better value for finding In-form players as there are generally more rare players in promotional packs. Regular packs are not cheaper during Happy Hours and the odds of getting an IF card are exactly the same. There is a very rare kind of HH in which the chances of getting a good card are higher. These special Happy Hours are announced as ‘2x Chances’, which means that the chances of getting an IF card during this period are two times higher than usual. Each individual Pack Offer is limited to a certain number of packs per user, depending on the overall value of the pack. 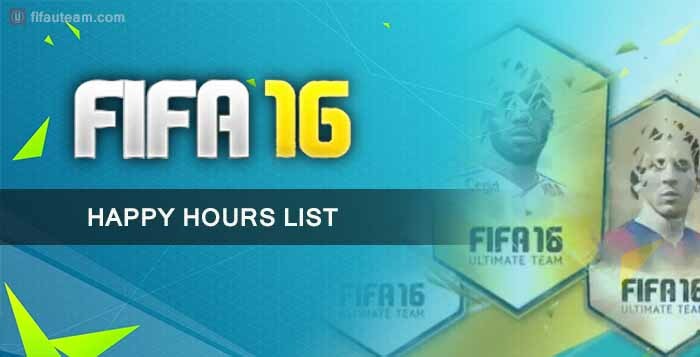 During FUT promotions, lightening round packs may be released in limited quantities to all users on a first come, first served basis.